this is yet another reason why i love my family cookbook! every time i buy bananas, a few are sure to get a little too brown for anyone in my family to eat. so i pull out this recipe from that cookbook and make this delicious banana bread. it tastes so amazing, and because it’s made with sour cream it’s super moist. and best of all, my kids love it! 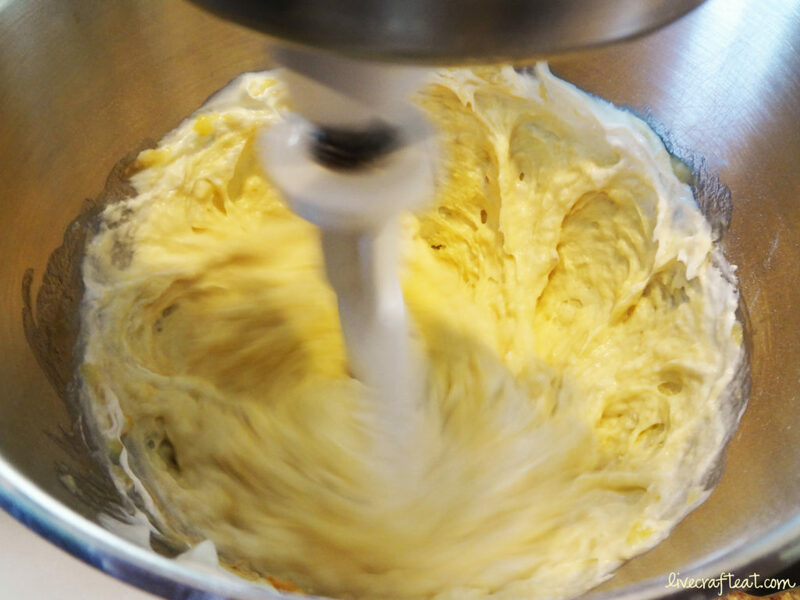 first, gather all your ingredients: butter, sugar, eggs, flour, baking soda, salt, ripe bananas, sour cream, vanilla, and walnuts or chocolate chips (optional). next, cream the butter and sugar until light and fluffy. add to eggs and beat to incorporate. 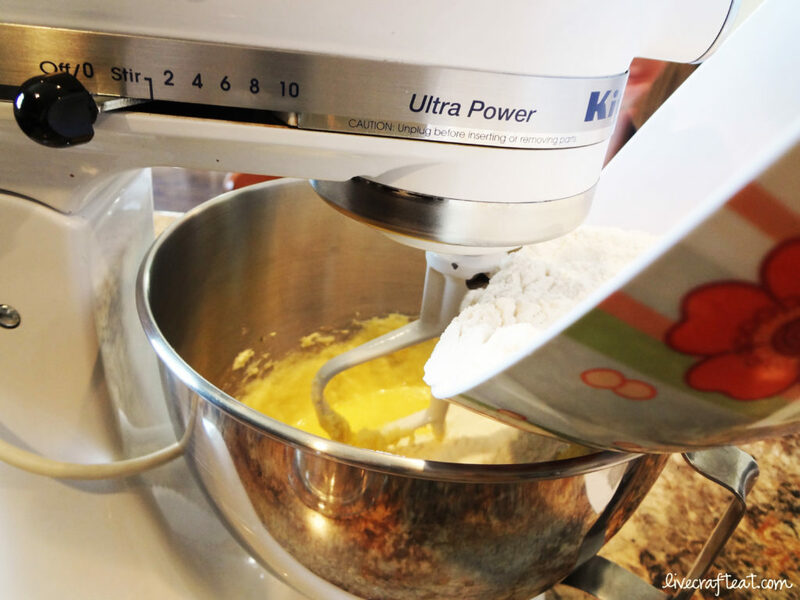 in a medium bowl, whisk together the flour, baking soda, and salt. add it in to the butter mixture. 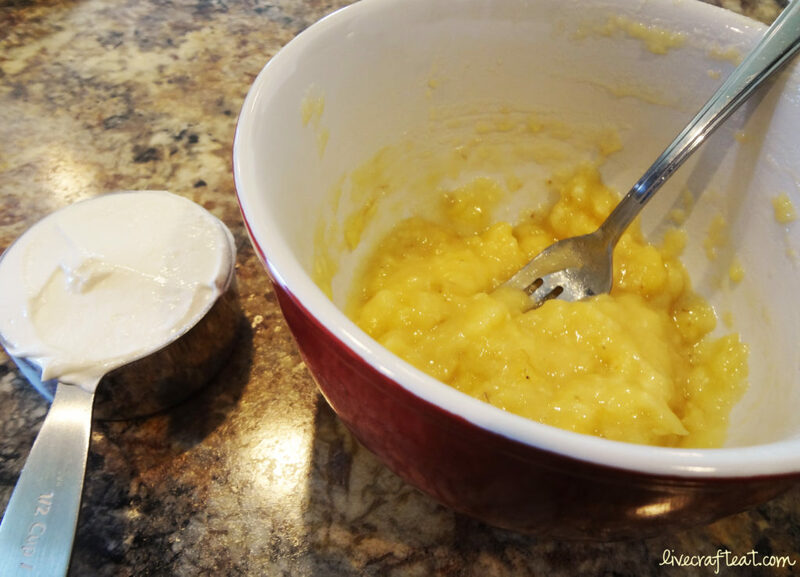 add mashed bananas, sour cream, and vanilla and mix to combine. if you want chopped walnuts or chocolate chips, you can stir in 1/2 cup of either one at this point. cool on a wire rack, slather in butter, and enjoy! 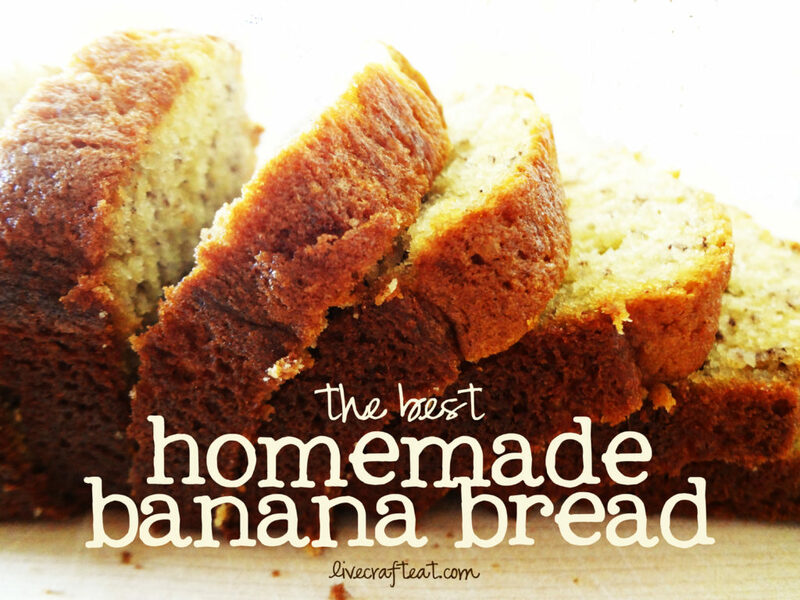 Homemade banana bread recipe - a healthy snack great for a number of different settings. 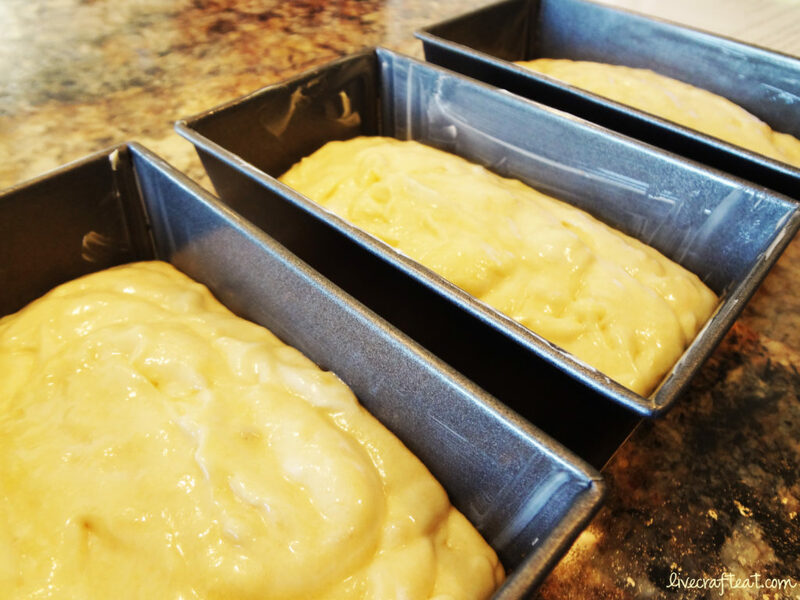 Butter a loaf pan, or 3 mini loaf pans, and set aside. Cream butter and sugar. Add eggs, and beat. 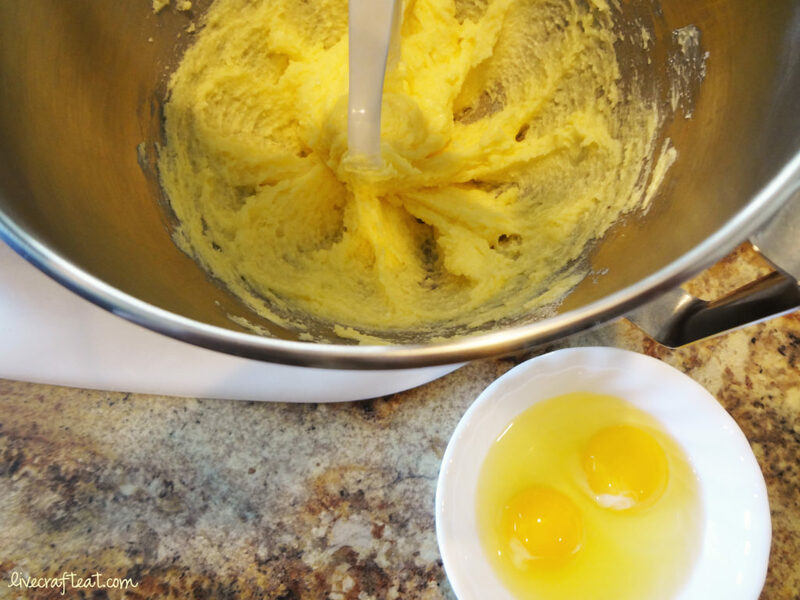 In a medium bowl, whisk together the flour, baking soda, and salt; add to the butter mixture. 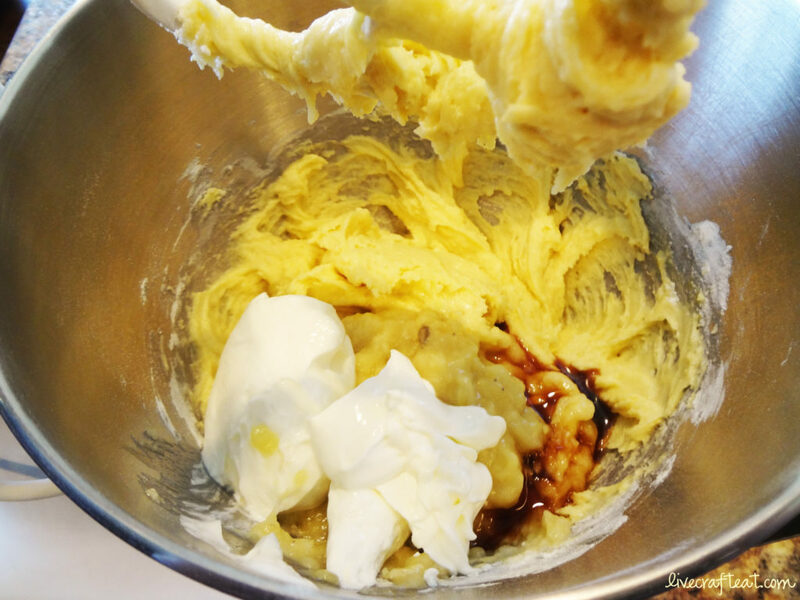 Add bananas, sour cream, and vanilla and mix to combine. If using nuts or chocolate chips, stir them in with a rubber spatula. Bake at 350. If using a regular-size loaf pan, bake 1 hour & 10 minutes. If using mini loaf pans, bake for 40-45 minutes. Let cool slightly before turning out onto cooling racks. Spread on some butter and enjoy! I love banana bread and haven’t made it for so long. Thanks for the inspiration! It looks so good! 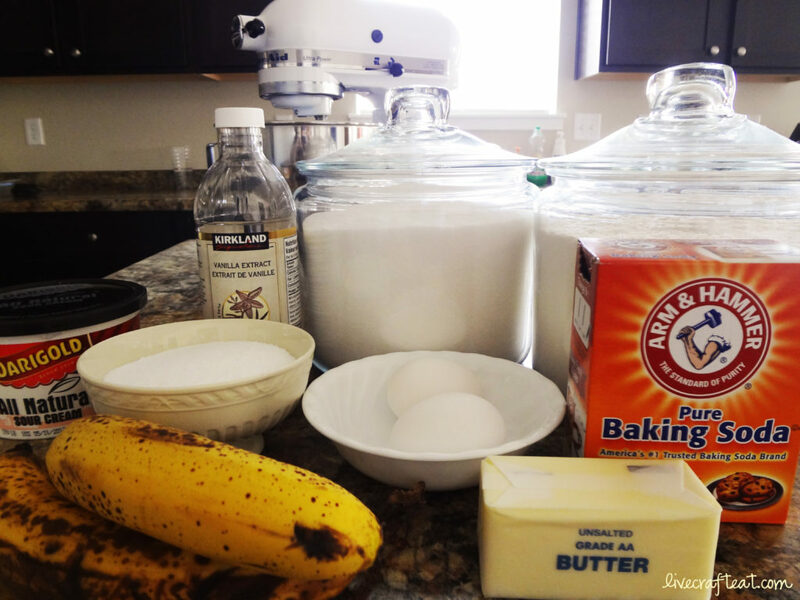 I have bananas just waiting for this recipe! This will be perfect! I want to try this recipe, but I’m not sure about my loaf pans. They’re def. not “mini”, but they’re two diff. sizes & I’m not sure which is the typical “normal” size. Two of them are a Kitchenaid 9×5″ pan, and one is a Baker’s Secret pan that is a bit smaller than the kitchenaid pans ( a bit bigger than 8×4 I would guess). Do you know which size is typical? I have 3 different sizes of loaf pans and none of them have their measurements written on them! But the one I’ve used before for banana bread (besides the mini ones) is about the same as your 8×4 loaf pan. So I’d go ahead and use that one. Because the larger loaf size is in the oven for longer, you might want to loosely cover your banana bread with tin foil towards the end of baking. Just lay it over the top and it will help keep the top from getting too dark. Also, you can use the toothpick trick to make sure it’s done all the way through – just keep in mind that it will continue to bake a little bit after it’s out of the oven if you keep it in the pan for a few minutes before taking it out to cool on a rack. Hope you like it!!! So, I doubled the recipe, made 2 loaves in the larger size pans & they turned out great! I will remember the tinfoil suggestion though, because although it’s not burnt or anything, I wouldn’t mind the top being a little less dark. Thanks Katie! We will definitely use this recipe again! Yay!! I’m glad you tried them! Thanks for the comment & compliment, Heather! thank you 🙂 let me know when you’ve tried it! thanks, Reena! i hope you love it!